Warhammer 40,000: Inquisitor - Martyr: Out now on Steam! NeocoreGames is proud to present the first Action-RPG set in the science-fiction universe known as Warhammer 40,000, originally created by Games Workshop. We've been actively working on this project for more than three years now in close collaboration with GW, and it's truly a great step forward for our relatively small studio, to say the least. We're really excited to see how it will be received by the fans. This release wouldn't have been possible without the players, so we’d like to thank you for your support during the Founding and Early Access. During these long months, you showed the best traits of Inquisitors, you were observant, critical, and you reported anything that wasn’t quite worthy in the eyes of the Emperor. In times of glory, in times of struggle, you were there with us, providing overwhelming support and understanding. For this, we'll be eternally grateful. Your feedback was extremely valuable, and the game got better because of it. Of course, we'll be counting on you in the future as well, since Inquisitor - Martyr is continually evolving. We hope we have managed to meet or exceed your expectations, but if not, please know that we will continue to improve the game based on your feedback. Look forward to more content and improvements in free future updates, global events and Seasons! 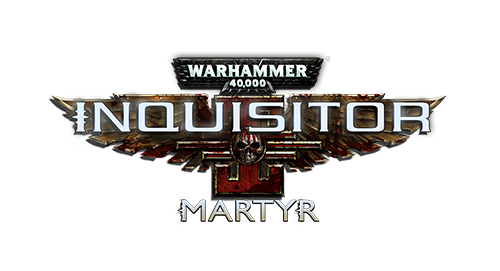 Thank you again, and please spread the word that Warhammer 40,000: Inquisitor – Martyr is now complete! Read the 1.0 Patch Notes here. If you see this post as a newcomer, however, please read on and see what this game is all about! Warhammer 40,000: Inquisitor – Martyr is grim Action-RPG set in the violent 41st Millennium, when the galaxy is at constant war. Become a mighty Inquisitor and carry out the Emperor’s will. Choose one of the multiple classes and take part in brutal combat encounters: embark on a huge variety of missions with your fellow agents and fight through the single-player story campaign set on a haunted fortress-monastery which hides a terrible secret from the past of the Inquisition. Play as three different classes, each with three expertise (different loadouts). Crusader: A fearsome warrior, using heavy armour and weaponry, moving slower, but fighting relentlessly in all combat situations. Assassin: A deadly infiltrator, using hit-and-run tactics and exotic weapons, relying on acrobatic skills and speed. Pskyer: A sanctioned mutant, using powers from the Warp, relying on psychic powers and psychically attuned weapons. Far from the guiding light of the God-Emperor, torn apart by the foul tempests that distort reality, the Caligari Sector is slowly rotting away from the inside, tainted by the Chaos Gods. Purge the unclean with the most powerful agents of the Imperium in five unique, gripping story chapters and the Chaos Undivided pre-season. Explore the Star Map of the vast Caligari Sector, travel in different subsectors and explore an immense amount of solar systems, visit a growing number of unique points of interests: investigate on different planets with distinctive terrain conditions, fight your way through corridors of infested Void Stations, abandoned Star Forts and other diverse environments! Team up with your friends (up to 4 players) to complete missions and investigations in the Caligari Sector. Join Inquisitorial Cabals and claim great rewards together! Gear up for action: unique items, weapons and skills are available for all Inquisitor classes. Use Uther’s Tarot to set the conditions of your next mission, collect Blueprints and use Crafting to improve your equipment, and use the Inoculator to fine-tune your different skills. Make choices in the story to determine your morality: Puritan and Radical Inquisitors receive different bonuses. Choose your loadout to your advantage for each mission! 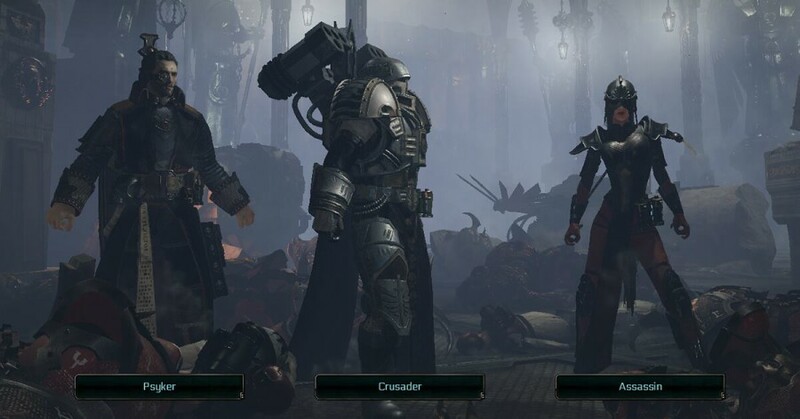 Warhammer 40,000: Inquisitor – Martyr is an ever-growing, long-lasting experience. Expansions and regular free updates will introduce new enemy factions, new terrain settings, new missions and mission types, new story-driven investigations and new gameplay features. Seasons are big, free updates that will introduce longer story arcs in which players can shape the persistent world of the Caligari sector with their actions. Global events and Seasons ensure new challenges – there’s always something new to explore or to collect! If you have any more questions, don't hesitate to ask, but you can also browse through previous patch notes or our great Reddit AMA session for detailed answers. Before purchasing the game, please make sure that your computer can run the game and that your drivers are up to date. You can read system requirements on the game's store page. Please also note that an online connection is required to play Warhammer 40,000: Inquisitor – Martyr. Look for an answer here on our Community Hub or the Steam Forums, and if you don’t find any, open a new thread. Purge in the name of the Emperor! If you have problems with the game, please write to the Support team! You can find the Support button here in the main menu. Hi i buy the game at release day. I think so. I play the game without Prolems. And after the first big patch I can start the Game. Load to the Bridge in game. If i choose a mission it will come the Loading screen and after the Full loading the game chrashed. i've bought the game on steam, but it wont play.